Resident survey identified need for a safe play area that offered variety and challenge. Lottery funding granted to create playground in Meriden Park, Chelmsley Wood and to employ three-part time playworkers to provide support and safety. In the three years from 2007, the playground becomes a cherished community asset. The playground includes self-built climbing and swinging timber structures, a zip wire, a fire pit and a sandpit. Lottery funding expires, but Solihull MBC steps in and provides funding for staff and site maintenance. Recognising the challenges of “austerity” on council funding, local volunteers form MAPA. MAPA raises funds and takes on more responsibility for managing the site: – Employs two playworkers – Develops CommunityCafé. – Assists parents in financial difficulties by providing food bank vouchers, clothing and bedding. – MAPA slowly becomes a community hub. Number of children attending annually increases into the thousands with over 1000 children registered to attend without parents’ supervision. This provides much needed support to parents as well as children MAPA gains charitable status to better secure the future of the playground. SMBC announce they will stop funding salaries in September 2017. MAPA increases their fundraising efforts and start working with SMBC to secure the future of this much loved and much-needed community asset. – Negotiated a licence to use the site with Solihull Metropolitan Borough Council as a precursor to negotiating a six year lease from 2019. – Funding from the Youth Investment Fund, the Tudor Trust and Children in Need have now enabled salaries for a full staff team until March 2021. 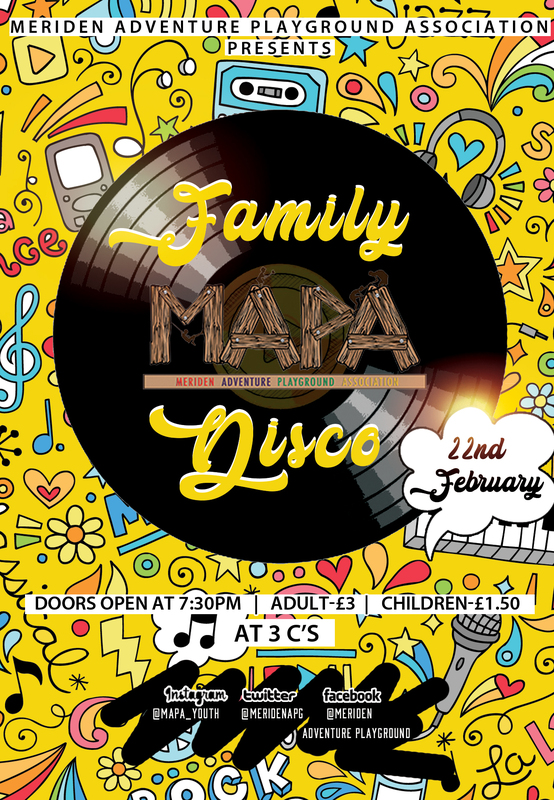 – MAPA takes over youth night previously run on site by Early Help (SMBC) and opens on a second night as well with plans for other development work in the area.